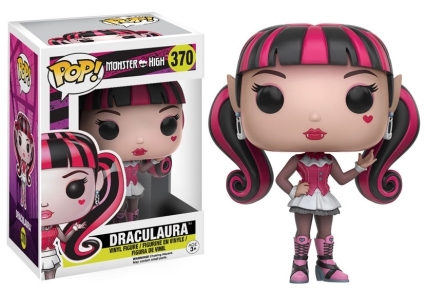 Everyone's favorite ghouls get a custom look with the 2016 Funko Pop Monster High vinyl figures release. Initially created by Mattel as a fashion doll line, Monster High gained a huge following, helping the brand grow rapidly. In addition to the dolls, the Monster High franchise encompasses a variety of products including a web series, video games, various accessories, toys, DVD movies, and several television specials that have aired on Nickelodeon. A major attribute to the dolls/characters uniqueness is that each of the ghouls (girls) are the offspring of the most well-known science fiction and horror characters in history. 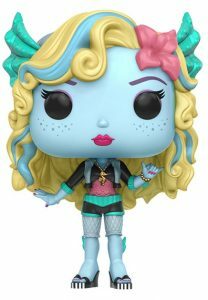 Although the teens from New Salem, Oregon get a new Funko look, their Funko Pop Monster High vinyl figures maintain their individual glamor. Frankie Stein has her mother's black-and-white streaked hair along with a scarred cheek, while Draculaura has pink and black in her hair. 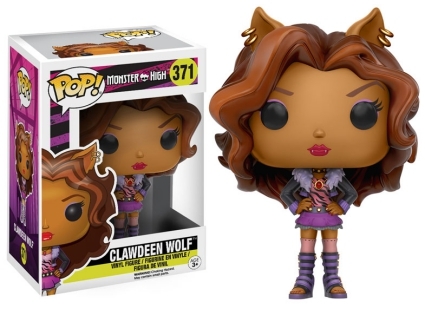 Clawdeen Wolf, daughter of Werewolf, appears to be taller than the Funko standard (3 3/4") as her pierced ears are seen poking through her wavy hair. 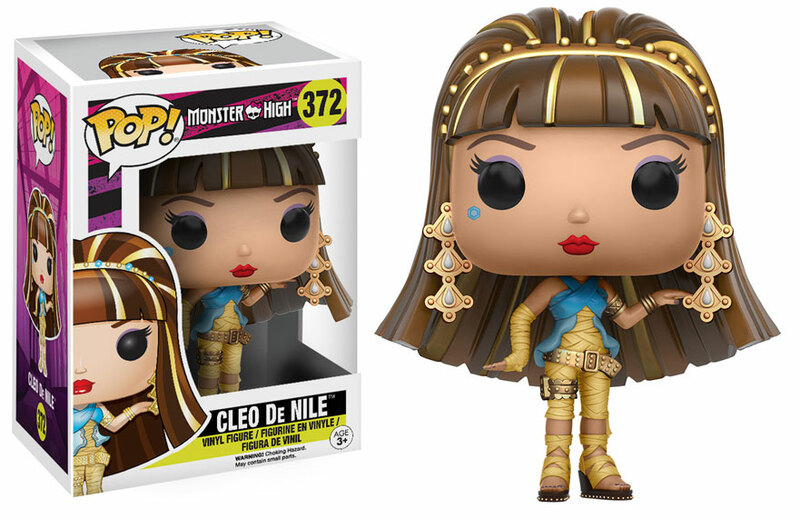 Looking like the true Queen, Cleo De Nile reflects her character as she has gold bracelets, belt, and earrings. 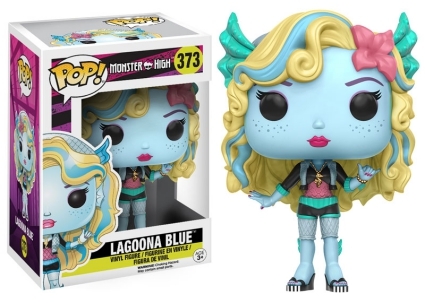 Lagoona Blue, daughter of Gill-Man (Creature from the Black Lagoon), has her updated teal fins sticking out from her legs, arms and head while wearing a gold seahorse necklace. Lastly, exclusive to Walmart, Skelita Calaveras showcases her character's signature El Día de los Muertos (Day of the Dead) appearance. Funko Pop! 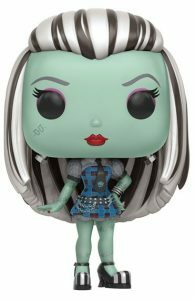 Monster High Frankie Stein #369 Vinyl Figure WITH PROTECTOR! 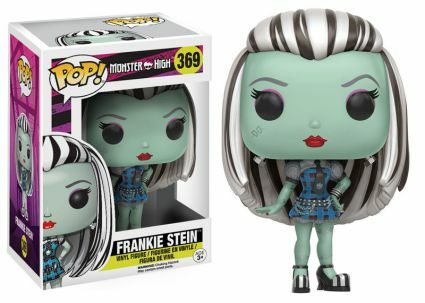 FRANKIE STEIN - Monster High - Funko Pop! #369 - NEW!! !